The tenth day of competition looks like being a crucial one for all teams involved. 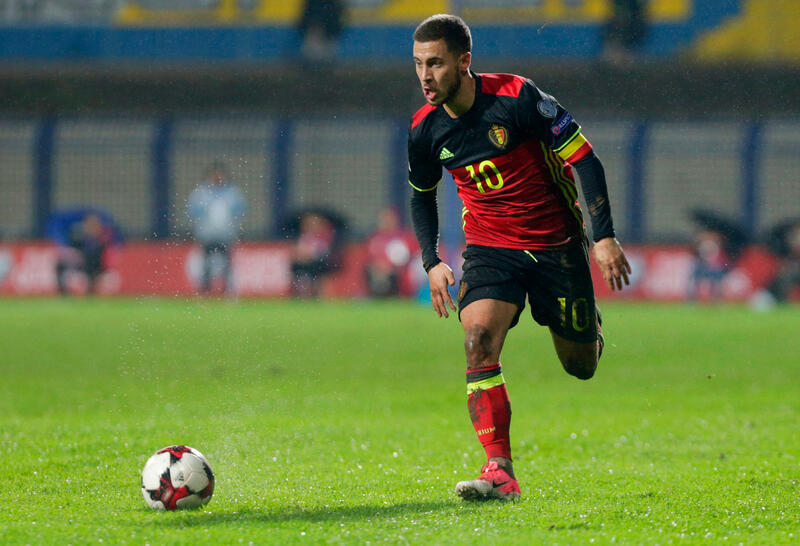 Belgium will look to book their spot in the round of 16 with a win against Tunisia. Mexico will seek to do the same after their shock win against Germany when they face a desperate South Korea. The Germans simply must win when they meet Sweden at the Fisht Stadium. Some tipping normality appeared to have returned over the last few days with a few more predictable results occurring; and then there was Argentina! Is this another night of consolidation for the top teams or are upsets on the cards once again? Be sure to have a say as the voice of the crowd and enter your tips in the sheet below. At the half way point of the group stage, the fuller picture of the 2018 World Cup is starting to become more visible. Belgium will take a win against Tunisia to cruise through to the next stage. It is just too hard to see the North Africans mounting a serious challenge to one of the tournament heavyweights; who have given us no reason to doubt their abilities thus far. 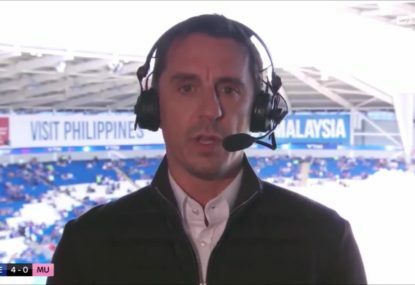 South Korea played one decent half in their clash with Sweden yet will need a full ninety minute performance if they are to challenge their giant killing opponent. Mexico will look to advance with a win against an Asian nation that seems somewhat out of form. If Germany don’t get up for this game, they never will. This is a must win clash with Sweden and logic says they will do it easily. However, the organised defence of Sweden may frustrate them if scores remain level for an extended period of time. The speed of players tracking back could be an issue for Sweden and the Germans will find a way to expose it, even if it takes some time to achieve. The Belgians flattered to deceive against Panama, but they should have far too much firepower to overcome Tunisia’s ultra-defensive tactics. Now that they’ve got one routine win out of the way, expect the likes of Romelu Lukaku and Dries Mertens to start firing on all cylinders. My heart says South Korea, but my head says Mexico. Not only are the South Koreans decimated by injuries, but there are surely question marks over fielding the inexperienced Chun Hyun-woo in goal as well. Mexico, meanwhile, were the team of the tournament from the first round of matches. Sadly for fans of Asian football, they should have too much intensity for the Taeguk Warriors. Germany versus Sweden looks like a fascinating match-up on paper. Either the Germans replicate the Spanish side of 2010 and go on and win the tournament, or they mirror Spain’s performances four years later and exit the tournament with a whimper. Expect a reaction – and a narrow win – from Germany, but the Swedes certainly won’t make it easy. Belgium were the only top-tier nation to deliver a truly convincing performance in their tournament opener, and they shouldn’t have any troubles dealing with Tunisia. That quartet of Romelu Lukaku, Eden Hazard, Dries Mertens and Kevin de Bruyne is looking awfully dangerous. Let’s hope this match is slightly more entertaining than South Korea’s first fixture. To be fair to the South Koreans, injuries and poor form means they don’t have too much to work with. Mexico, on the other hand, pulled off the biggest upset we saw in Matchday 1. They’ll have to force the pace of this game, rather than sit back and hit on the counter like they did against Germany, but they’ll still have enough to get the win and all but seal their place in the round of 16. Italy in 2010. Spain in 2014. France in 2002. The main reason I thought Germany would avoid joining the list of recent defending champions to have crashed out of the group stage is because, well, they’re Germany. The loss to Mexico proved they have some issues – Sami Khedira’s presence at the heart of midfield foremost among them – but they still should be good enough to finish with six points once the group stage is done and dusted. Because they’re Germany. Belgium eventually broke through Panama’s deep defensive block early in the second half, and looked comfortable thereafter. Another early goal here should ensure a comfortable victory and a place in the second round. 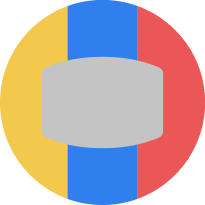 Mexico were the star team of the first round, and South Korea were really quite poor against Sweden, so I expect Mexico to continue their good form with another win. Javier Hernandez to score twice, I think. 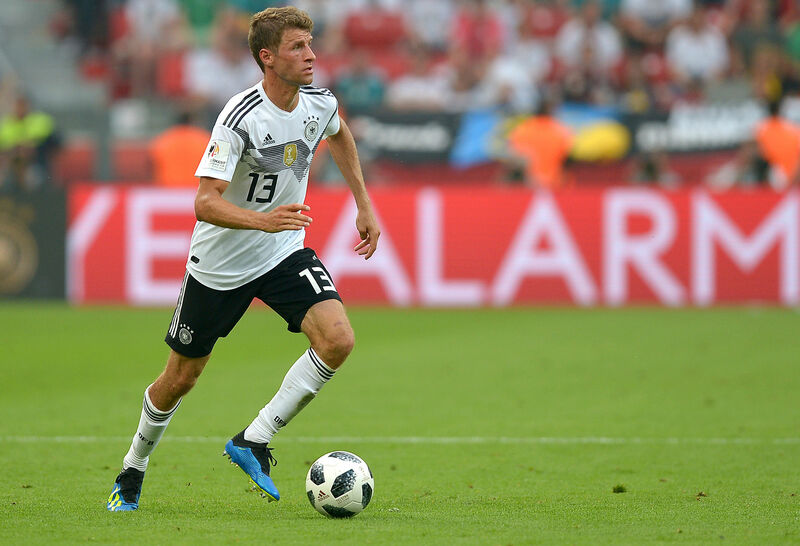 Although Germany defended counter-attacks very poorly in that sobering defeat to Mexico, they have shown in the past they can recover quickly and learn from their mistakes. Rumours of Ilkay Gundogan’s inclusion next to Kroos instead of Khedira will make a big difference. Belgium’s first up 3-0 win over Panama was one of the more polished performances of the heavyweights at this World Cup. With Lukaku in form, look for the Red Devils to go deep in the tournament. Tunisia were already packing one point in their kit bags against England when Harry Kane arrived at the back post like a disgruntled customs officer and made them hand it back. This late set-back could demoralise the North Africans and I expect Belgium to win by two goals. Korea were unimpressive in their opening round loss against Sweden, in spite of coach Shin Taeyong’s high jinks and secretive training sessions. 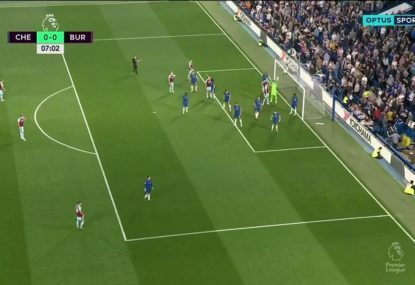 The only people that looked bamboozled were his own players. 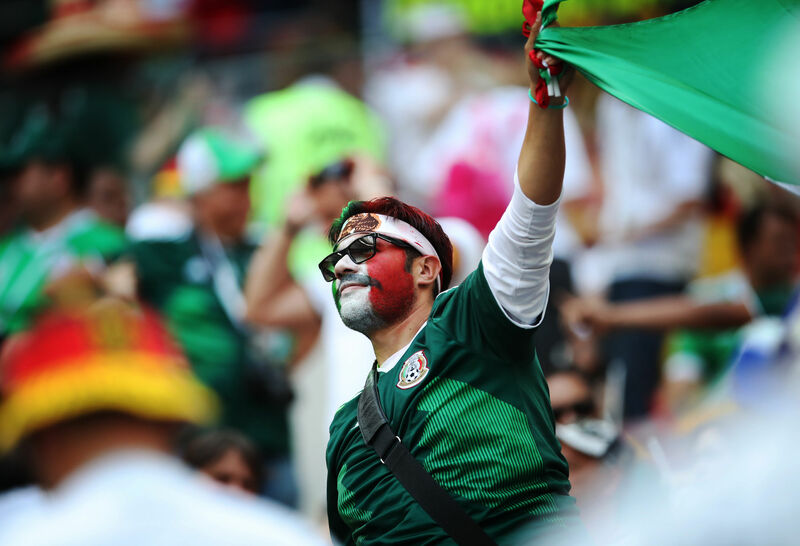 Mexico, the CONCACAF party boys, must be on a (natural) high after their remarkable 1-0 win over Germany. 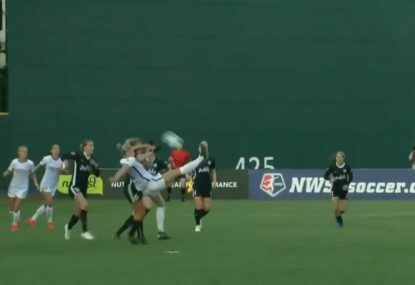 It was no fluke, their attacking play being some of the best of the tournament so far. Hirving Lozano is a quality goal scorer and between the sticks, Guillermo Ochoa is one of the better keepers in the competition. Mexico to win 3-0. 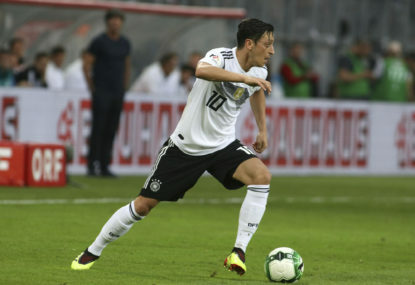 Germany didn’t play terribly against Mexico; they had some good moments, but cracks are starting to appear. A slightly underdone Manny Neuer would not have been happy to concede that goal at his near post. It promises to be a cracking and perhaps bruising encounter against a physical Swedish team branded ‘too tall’ by the Korean coach. It would be no surprise to see Mario Gomez start against the Swedes. His height could be telling. The Germans are still a good team and I think they’ll bounce back and win by a single goal. BEL vs TUN BEL BEL BEL BEL BEL ? KOR vs MEX DRAW MEX MEX MEX MEX ? GER vs SWE GER GER GER GER GER ? 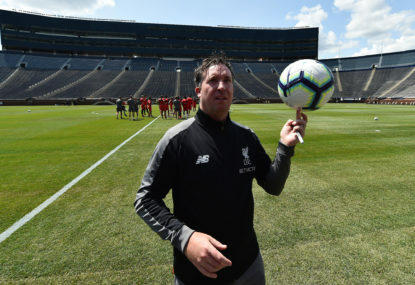 Liverpool great Robbie Fowler has made his first serious move into coaching after being named head coach of A-League strugglers Brisbane Roar. How about this for a set play? 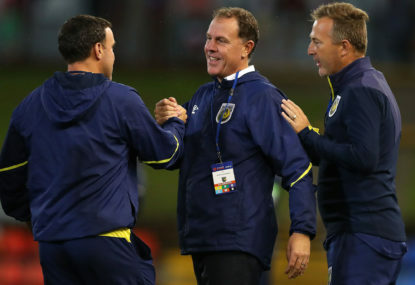 Managing the embattled Central Coast Mariners was one of the last things on Alen Stajcic’s mind when he turned up for work on the 19th of January 2019. 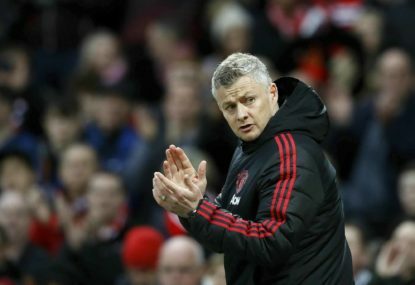 Ole Gunnar Solskjaer rightly unleashed criticism on his team after Manchester United’s embarrassing performance on Sunday, losing 4-0 to Everton away at Goodison Park.